How’s it going my beautiful people and what a long time it’s been. I’ve had a hectic 2014 and it’s been one of the busiest and craziest years of my life. 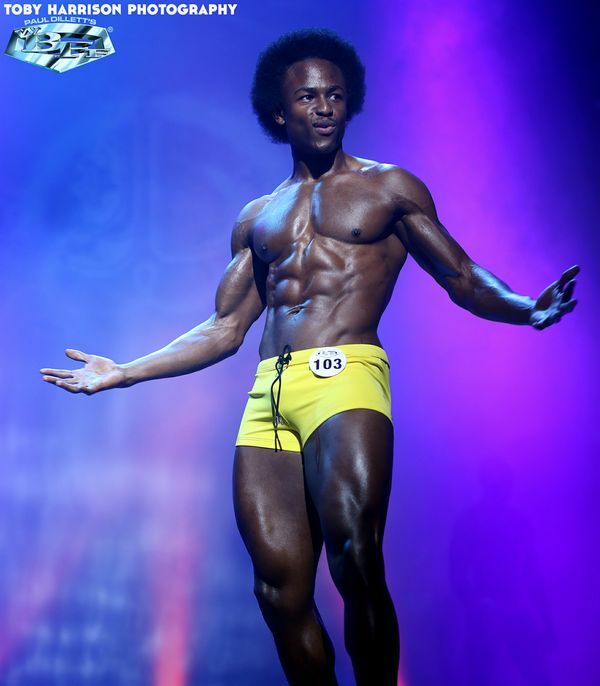 From slipping into cardiac arrest, to becoming a public speaker, to starting my own business and becoming self employed – All from the back of my two Bodybuilding shows and modelling shoot at the end of 2013. 2015 started of pretty wild also, but the storm is now calm and I am able to breathe and continue to focus on the things that I really love to do – What else is life about eh? Now in life, we all want to be successful, healthy and wealthy (I at least hope so anyway) and this leads us to setting goals, doing affirmations and incantations (an affirmation with emotion and reaction). 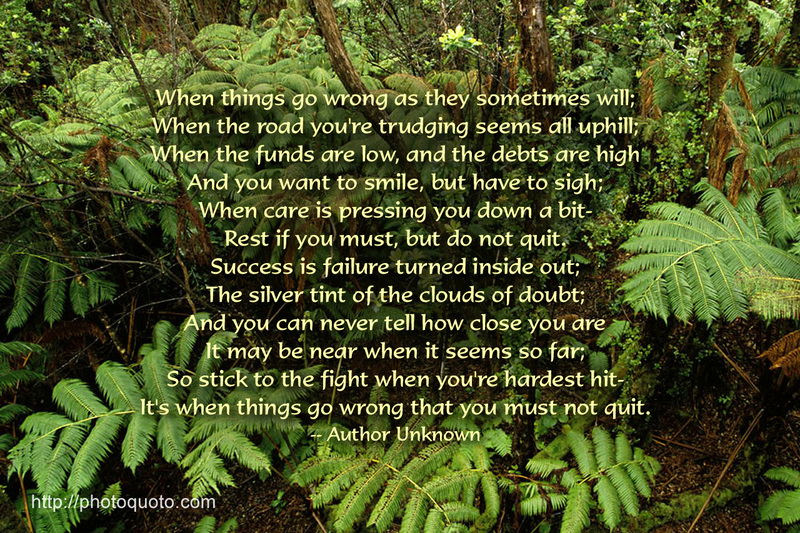 Life ain’t easy folks, and we must do all we can do to help us get through periods of tough times in our lives. Here’s a list of a few tools that I use to help me through periods of darkness in my life or to help get me through challenging goals. I hope you will also find them useful. 1) Self Talk – As I’ve wrote before, talking to yourself ISN’T a sign of madness. It’s simply an exercise which can be used when you find yourself down about something. Talk to yourself as you would to a loving child. Ask yourself why you’re feeling tense or uptight. You may find that the answer you receive helps you to ease the apprehension you are feeling at the time. I find this exercise also helps to bring me to a state of calmness if I am ever feeling anxious, tense or nervous about anything. 2) Writing Things Down – Writing things down whether using the “Diary” approach method or simply by just scribbling down your thoughts and emotions on a piece of paper is a good way to release anxious energy and a powerful tool if you don’t want to share your issue with anyone. Writing yours goals on a piece of paper and having them up by your bed so you can see them everyday is also worth doing and highly recommended. 3) Speaking with People – The good ole days before smart phones, where people use to communicate with each other more face to face or actually speak on the phone LOL. Speaking with like minded people helps you to align yourself with that positivity energy needed to get you through that dark spell. Try to build a good circle of people around you that can be there to help you when you need them most. On a serious note, there are so many books, ebooks, audio books and articles out there that you have no excuses not to better your life. Reading the right books and getting the right information will help you through anything. We have a wealth of information out there waiting to help us, we just have to go out there and search for it. Once you’ve had some reflection time and you know where you want to be in life and you have a clear visual representation of this of this in your mind – GO OUT THERE AND GET IT! AND DON’T LET NOTHING OR NO ONE STOP YOU ON YOUR JOURNEY! I first want to say a massive thank you to everyone that’s reached out and supported me on my journey so far. From the start of the blog to the start of the body transformation in January, to start of this completion prep, it’s all been joyous experience and I’ve loved sharing every bit of it with you. 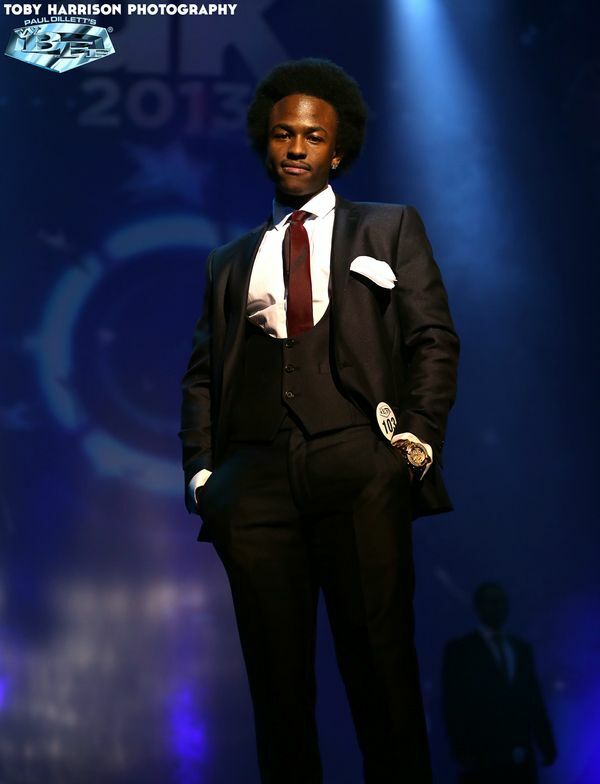 At the start of the year, I had intention whatsoever to compete and step on stage. In fact, I had no intention of even dropping my bodyfat which was at the time sitting at around 20%. As most of you know, I dislocated my shoulder back in December and was out of the gym feeling sorry for myself. The Christmas season was the perfect time to eat and make excuses. I went on the “See Food Diet 2.0” whereby you see it, you eat it LOL. I ate anything and everything I wanted and at the time I was actually enjoying it. Trust me, I was going for it hard LOL. But a combination of no gym and the “See Food Diet 2.0” soon had a guy looking tubby around the waist and out of shape. Cut a long story short, I grinded hard and I won. Why do I tell you this? I tell you this because, around the time of winning the body transformation contest was around the time I first heard about the WBFF European Chaapionships coming to the UK. I also had a holiday booked for July and knew that I was going to continue cutting to further my progress and bring through my abs a bit more. Weeks passed and it played on my mind. I’d check Facebook and see guy’s competing and/or getting ready for a show and my soul wanted a piece of the action and wouldn’t let me rest. I mentioned it to a few people and more or less everyone said I should go for it. The consensus was that I diet and train hard so why not just go for it. I knew that if I entered and told everyone that I was competing, there would be no going back. I mean, how could there be any going back? 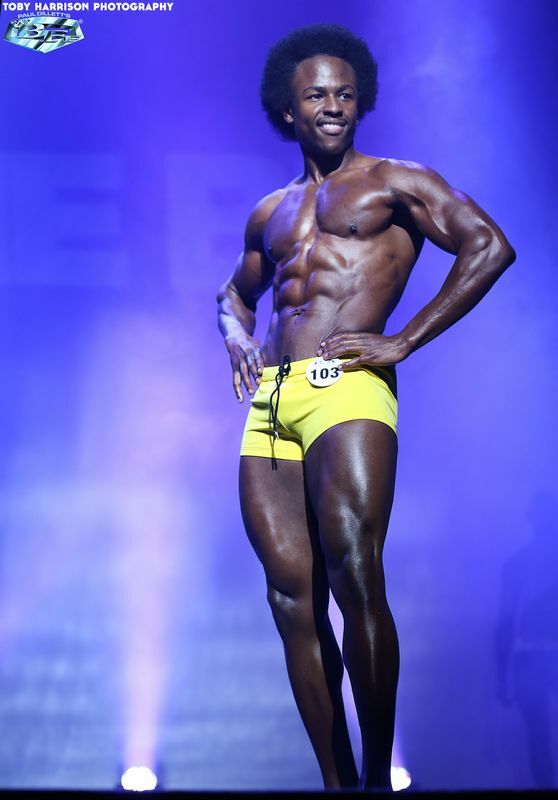 Firstly, for those who don’t know – In the bodybuiding/fitness game, when competitors are getting ready for a show, they go through a process called a “prep” wherby the undergo a strict training & eating regime for a number of weeks to bring their physique close perfection. This usually involves weeks of no chocolate, sweets, cakes, crisp, alcohol and all of lifes little treasures. You basically deprive yourself of the things you cheekiliy love to eat in order to look perfect for that special day LOL. Yes, I too ask why I do it sometimes HA. Anyhoo, a competion prep can last any where between 12-20 weeks to even a year depending on the competiotors physique, the show they’re entering and a number of different factors. Don’t worry, I plan to go on the “See Food Diet 3.0” real soon LOL – Only joking. That would be some Man vs Food type of eating going on over here I tell you LOL. It was time to bring my A game like never before. I knew that I was going to be stepping on stage with some of Europe’s finest athletes. I knew that I had to go harder than ever before. In my mind, I knew that if I was going to even stand a chance, I’d have to get uncomforatable, real uncomfortable. This competion was more than than coming first place for me. I mean, don’t get me wrong, I wasn’t training for 2nd place or anything like that LOL – But on a deeper level though, I was facing some real demons…Let me explain. I’ve lived with that demon since 2008 but have now forgiven myself for that sutuation and learnt from the experience. But within that still was the underlying fear of stepping in front of people on a stage like setting. Little did I know that the 08 stage incident would lead to face my fears 5 years later stepping in front of a MUCH larger audience and a more intense setting. It was divine intention that I went down the path of what I thought was failure and to have the ability to share my story with you today. “Everything happens for a reason” – and actually aceept it as my personal truth. Because that’ is all my life has ever been. Going through experiences and learning from them. That is the philosophy that I have found truth in and I invite you to explore my truth. On my journey preparing for this show I have learnt so much about my body. Flexibility – I never realised how tight I was in certain areas of my body until trying to hit some stage poses. My whole body was/is tight and is currently something I’m working on. In life everything is balance. Bodybuilding shortens the muscle. It makes sense to then to an activity which focuses on stretching the muscle; such as Yoga. Through my awareness about my flexibility, I can now help others by educating them on the importance of stretching and taking more care of their bodies. Like I posted a few weeks back, whether you train or not, stretching is a vital way to help alleviate tension and tightness within the body which can lead to bad posture, head aches and even depression – Don’t believe me though, go research! Along my journey I have met so many great people. From going to the posing camp and meeting with first timers like myself to being back stage with amateurs and veterans in the game. Me and some athletes before stepping on stage. What great guys. Inspiring people – I never EVER thought of myself as an inspiration to other people. I’ve always been hunble and modest, so to hear people call me an inspiration or say that I’ve helped them in some way or over come this or that – It still amazes me to this very day and I believe it will continue to do so. I think the reason why people find my story so inspiring is because I’ve shared my true feelings with you all from day one. I’ve posted my goals and dreams and followed through to see them come through. I’ve shared my set backs and heart aches and through doing this I believe people see that we’re not so different. In fact, where all the same. I live my dreams so you can live yours. Why do I say this? Because, people talk to me about their goals and aspirations as if it could never happen in this life time and it upsets me because if only they knew that they could live the life they wanted and manifest their dreams in this current reality by applying themselves. Do what ever it is you want to do provding your willing to work at it and give it whatever it takes. Knowing that by applying some basic principles over a period of time that it is yours for the taking. Whilst back stage I was surrounded by the most beautiful females in bikini’s. I felt like I had made it LMAO. I stepped on stage and had girl’s screaming my name – Girls that I never even knew. I felt famous. The bright lights! Thousand’s of people! The judges! The camera’s! Me! My afro! And time to rock the show! It’s funny because my nerves transformed into impulses of excitement at the very moment I stepped out on stage – My mind went blank that’s all LOL. I didn’t place 10 but when I left I had my whole family telling me I done then proud, so that made me feel good. Although I maintained clean eating throughout the prep, at 10 weeks out from the show I increased my carbohydrates as to ensure I didn’t look to small on the stage. It worked! I wasn’t the biggest guy there but I sure held my own. Abs were trained everyday, but the ab routine is so sacred I’m not sure I’m ready to give it out just yet LOL. For actual exercises performed, send me a an email and I’ll gladly share it with you. Stick to your diet and keep strong – Times of weakness will be upon you. But as step one states, be prepared for what will and may come. Enjoy it – The process of training & dieting, to being on stage to the aftermath, feedback and what feels like a little fame. Never compare yourself to other competitors. I could write a post on this subject alone. Whether you compete or not, never compare yourself to others! Remember, you are your own competitor. Compete against yourself to be the best and to do better than yesterday. Look at the bigger picture – It is all a learning process. The learning of self, your weaknesses and strengths. Sportsman ship – Never be a lousy looser. Be happy for the next man and the hard work he/she put in. For when you are in their position, you would not want that hate and negativity directed your way. And remember – It’s all one big game to be enjoyed. From what has come from all this, I may not have been awarded a trophy for first place, or walked away with a PRO card but at heart, I genuinely feel like a winner. I’m accepting the hard work that I’ve put in and the life’s that I’ve touched – I am finally accepting it. What does being a winner even mean anyway – Is it simply just a state of mind? I say go for it – Go for what? 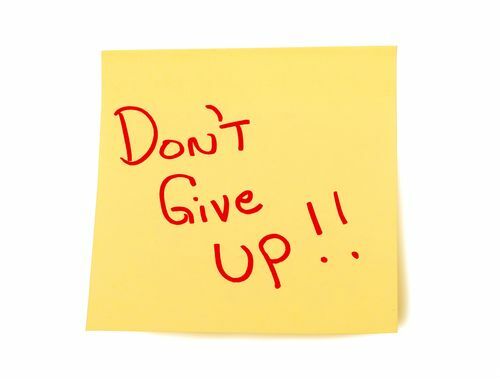 Write it down on a piece of paper, stick it on your wall, look at it everyday and just go for it. No talking, no procrastinating, no thinking, no blinking. Just go for it. I feel like I could type forever – It’s like me not blogging from my heart for a while makes me realise just how much I love it. Whether you read the whole blog, just read the tips, or stared over the pics lol – I appreciate you being here. 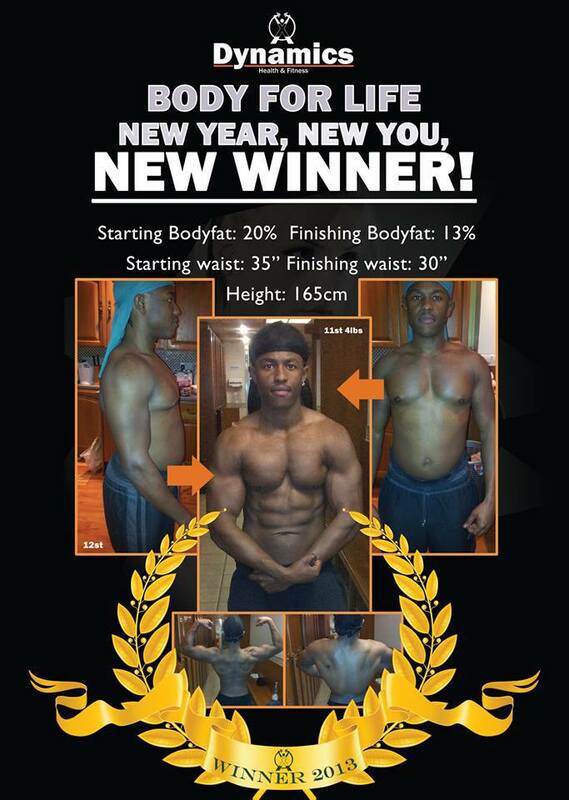 2014 is around the corner and it’s only right we step our game up and take things to the next level. Stick with me and we can all reach that next level together. WHY? We just getting started baby. “I’ve found that luck is quite predictable. If you want more luck, take more chances. Be more active. Show up more often”. Some would say that there is no such thing as luck. However, you will also find others who’ll claim that luck is based on how much work you put in. If luck is indeed based on the amount of work put into a given situation then luck can only be attained by hard workers right…? I’ve also heard that we create our own luck and I am of this notion. For us to create our own luck means we must first have to create our own situations. In order to create our own situations we first need to know what we want to create…Straight forward isn’t it. Ask yourself – What situation do you want to be in right now? What is it you want out of life… Success? It’s easy to say you want to be successful but what does success really mean to you? What happens when you reach success? Does it stop there or is there more to pursue? Really ask yourself these questions and ponder on your answers for a moment. Say for example there is a guy who has been working out for 8 consistent years. 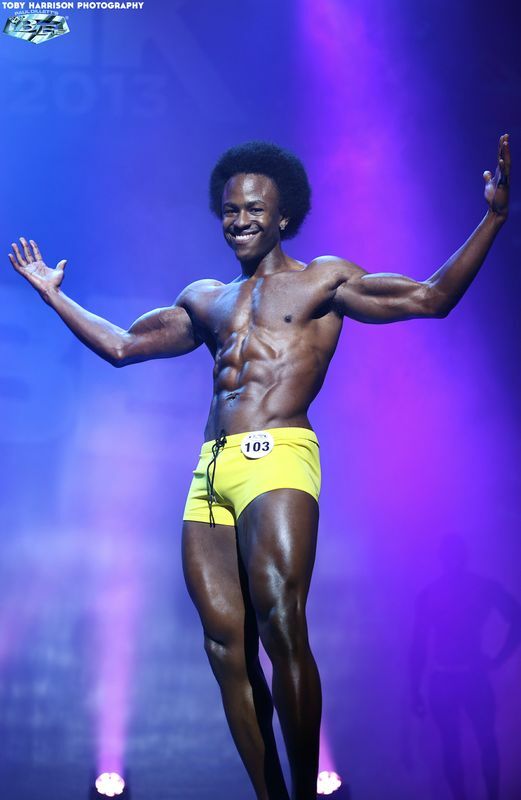 He has his dream physique and happens to pick up all the females when he goes to the beach (clearly because of his body) – Would you say this guy is lucky that all the females are attracted to him or would you say it was the 8 years graft that put him in that situation? Or let’s say there is a single Mum who starts her own business in child minding. She struggles to look after her own child on top of setting up a business in looking after children but this is what she wants out of life. She makes sacrifices, struggles along the way but continues to persevere. 5 years later her business is worth 7 figures! She’s now an official millionaire. Some people will say “WOW, look at the house she lives in, the car she drives and all the money she’s got, she’s a very lucky woman”. Would you agree and say that she’s lucky…If so, why? Or would you say that she created her own luck through hard work, perseverance and sacrifices? I use to have a different view on “Luck” and thought I was never a lucky guy because of situations I’ve had to overcome but some may say I was lucky to be challenged by those situations as they’ve enabled to teach others and become a stronger individual myself…What are your thoughts on that? I now live my life with the belief that we create our own luck and below are some steps I follow everyday to help me stay within that luck threshold. First make space in your life for luck. REMEMBER, anything you plan on keeping needs the required space for it to be kept. You never buy a new car if you have no space to park it! Once enough space has been allocated,we can then move onto the next step. Figure out what you want out of life or where you want to be. With no destination we cannot strategically plan our route. With no route we have no redirection. You have to know where you’re going first in order to get there. Once your destination has been established, know what steps have to be taken in order to get there. It’s like knowing what roads you’re going to take to get to your destination. Embark upon your journey – Things won’t always be easy travelling this road but know that just like traffic, it’s only temporary and even though it’ll slow you down you’ll still get there in the end. It’s through following these steps where luck starts to materialize itself in your life if it hasn’t already. It’s when people start to look at you and say “You’re lucky because…..
Look after your body and your body will look after you. In life, don’t expect you can put in 80% and get back 100%, it doesn’t work like that. You have to put your heart in everything you do, especially if you are aiming for success. Work harder than you did yesterday and tomorrow will be easier! 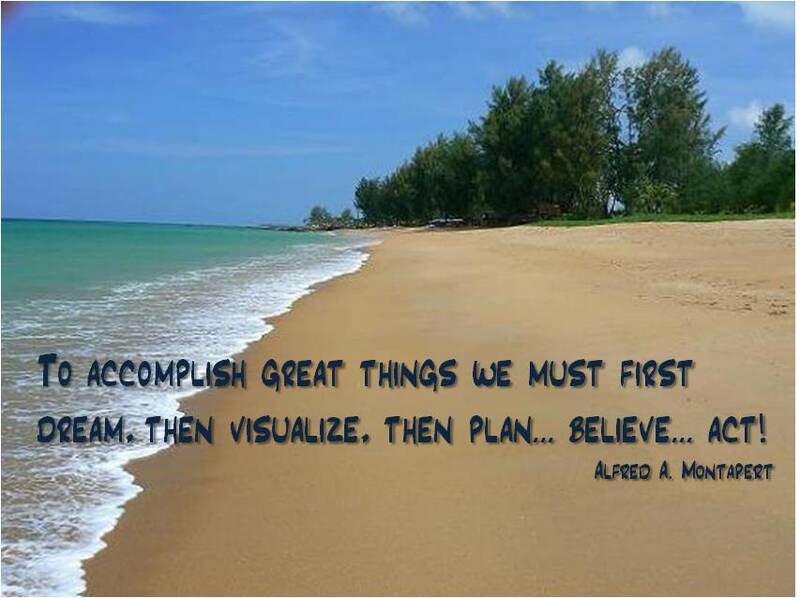 Visualise what you want out of life and believe that it WILL manifest. Keep hold onto your faith. 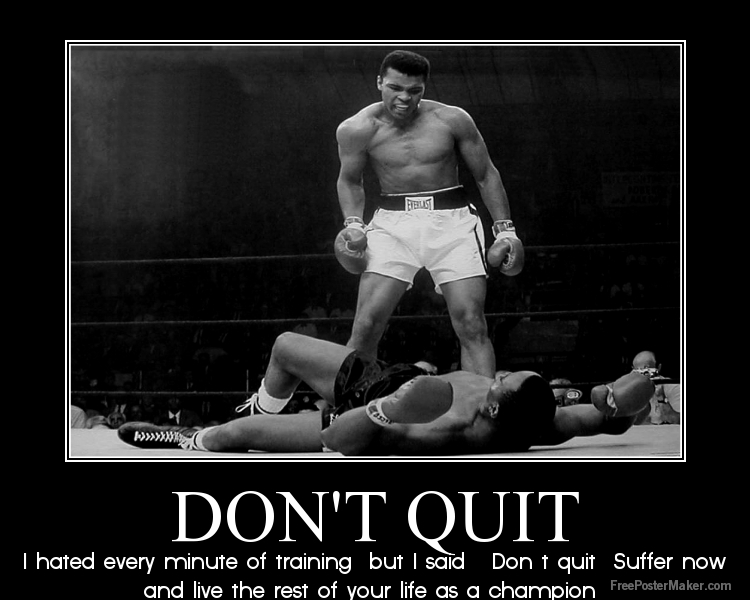 Life can be tough, let’s face it…However, perseverance can lead us to greatness. It can lead us some place we never imagined. Perseverance also builds our character by making us stronger individuals who never quit when things get rough and down right dirty. I’ve gone through some extremely difficult times in my life and when I look back and reflect, I do sometimes wonder how I got through certain situations…But after further reflection I can see it was by keeping strong, having faith and the knowing that time heals all wounds. Fortunately I also have a wonderful family that I have to give thanks for. 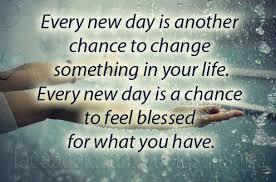 If you’re reading this right now it’s likely that you’re blessed in life whether you realise it or not! Just think, if you had everything you wanted in life right now what would you do everyday…? It seems that one of the biggest reasons why people never achieve their goals is because they focus on the end result too much… they can only see the bigger picture. What do I mean by this? Firstly, let’s view our goals as if it was a jigsaw puzzle. When completing a jigsaw, you do so by putting the pieces together one step at a time right…piece by piece, step by step. Metaphorically speaking, this is exactly how we need to view our goals. Imagine if each day leading up to a goal was like putting a piece of a puzzle together…You know for one that you’d have to take your time and rushing wouldn’t even be an option… I mean seriously, could you imagine trying to rush through a jig saw puzzle, I’m talking the ones with a good few hundred pieces. And two, imagine looking at all the pieces of the jig saw scattered in the box… it can seem quite over whelming that you’re faced with putting the whole lot together…But by breaking it down and taking your time, you can see that there is light at the end of the tunnel. Let’s now apply this theory to a real life scenario. Say for example you set yourself a goal over a 12 week period to loose 12% body fat…without breaking it all down into bite-size chunks it really can seem undo-able at times, trust me I’ve been there…in your mind it’s easy to think “Arghh man, I’m only 2 weeks in and I have another 10 weeks to go, I don’t think I’m gonna last this long” … Keep thinking like that and you might just be right. But when broken down into weeks, then into days, it makes the goal much more bearable and you are much more likely to succeed. This way you know exactly what you are trying to achieve! Also, I find that by writing them down, when I wake up at 5.30 am in the morning to go to the gym and start questioning “why I’m even up at such times” all I have to do is look at what I have written down as a reminder. Having them stuck up on the wall in my bedroom staring back at me works a constant reminder and allows me never to forget what I set out for. Another thing, when setting your goals, try be specific as much as you can as this will help you come up with weekly targets to meet AKA way points. If your goal is to loose fat, you can aim to loose 1-2 lbs a week. This may not sound like a lot but over a 12 week period it equates to a lost of 12-24 lbs! 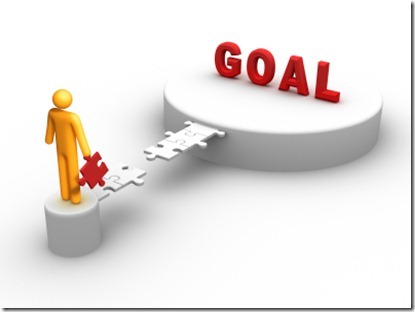 Your goal could be anything you want to achieve…Revision for example or even reading a book. If you was aiming to complete a book within 30 days and the book had 24 chapters, you could aim to read a chapter a night and before you know it you’d be head deep into another book. How are we all doing. I hope everyone is blessed and ready to tackle another week. Time is really flying past these days, wouldn’t you agree?… I mean it feels like just the other day it was January and now where deep into April approaching May. Hmmm…That’s why I tell people everyday to live life and enjoy themselves…Anyway…. If we never failed at anything then how would we grow as individuals? Think about it… Where would there be space for us to develop and improve? There would be no balance as things would always be one sided and there would be no lessons for us to learn from. Now don’t get me wrong, I’m not saying I like failing, I mean c’mon who does…However, just by changing our perception on how we view failure, it can make a big difference in our lives. I think we should become friends with failure or even see him as a big brother who teaches us lessons with tough love. Before I started my journey on bettering myself, I use to honestly fear failure. To think, I use to like the idea of not attempting something because in my mind I could then say “Well, no harm done, if I don’t try at least I’m not going to fail” – Looking back at it now that was failure within itself and such a cop out! 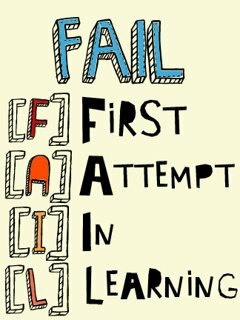 So what if you attempt to do something and it doesn’t go to plan the first time round…Dust yourself off and try again. The amount of books I’ve read on Entrepreneurs who have failed businesses a crazy amount of times but they still kept grinding and grafting and today they are multi-millionaires. Or let’s take babies for example…When they are first learning how to walk they fall over time after time again but they stick at it starting from small little steps to then being able to walk all over the place. We all use to be babies at one stage and we all learnt how to walk – Failure wasn’t an option back then – What’s changed? Here’s how I now view failure…Whether I’m going into a competition or attempting to accomplish a goal, my mind set is “Failure is not an option”. However, I also embrace the idea of failure upon facing it. Therefore, whatever I am attempting at the time, win or loose, I still come out a winner at then end. I either take 1st place or learn a valid life lesson. Before I go, let me share a poem with you all – I first came across this poem when I was in Jamaica back in 2009. I bough a small picture type poster with these very words written on it and have it on my bedroom wall to this day. I hope you find comfort in reading and start changing your perception. “Motivation is the art of getting people to do what you want them to do because they want to do it”. That quote may have went over your head as it did mine the first time I read it so let me explain. When I get people to start leading better lifestyles by eating healthier, exercising and changing their perception on day to day situations, it’s not because I have some amazing gift or special ability, it’s because deep down they wanted to make that change. You see, a lot of times in life there are places we want to go, things we want to achieve and passions we want to fufill, but due to the fear of failure or simply just procrastinating, we never get round to it – Not until we are inspired or “Motivated” that is. I reckon that it is a misconception that being a procrastinator makes one lazy. I feel it’s more a case of managing your time well and getting your priorities straight in the right order. With so much going on in our lives and so much to fit in the day, I can see why people just give up on certain activities or use excuses to justify their situation. I’ll give you an example, sometimes a month can go pass and I won’t see someone in the gym for sometime and when I ask them where they’ve been it’s not unusual for them to reply something along the lines of “Argh man, I’ve just been so busy slaving away at work and when I’m finished after a long day I’m just to tired to train” C’mon man…REALLY? I mean fair enough if that is the case and you have some extreme job OR your a single mum with 10 kids, but a lot of the time it’s just an excuse because you simply can’t be bothered, and by coming up with these stories (the lame excuses) it allows you to justify it in your head some how. NO! I don’t mean to sound harsh you know I love you guys, but sometimes a dose of tough love is needed with a helping of our good friend MR reality check 🙂 And I’d be lying if I said I wasn’t once apart of the story tellers club but as we grow we learn and start to view things differently. Without getting to side tracked, the point I’m trying to make is I don’t feel anyone can “MAKE” you do anything, we have to want it first. Strip away the money, cars, clothes and wealth and you will see we are all the same, no one is better than anyone. “So as humans all we can do is motivate and be motivated – Inspire and be inspired”. Enjoy the rest of the week and much love to you all. No matter how many goals you have achieved, you must set your sights on a higher one. I feel that by having goals in life, it allows us to stay motivated, driven and to keep striving for more. I believe that the day you are satisfied, or for better words, comfortable, is the day you stop really living life. I apply this same analogy to Bodybuilding. I keep aiming for improvements because I know the day I look in the mirror and say “I’m there now” is the day I stop giving 100%. I mean think about it, why would I need to give 100% if I’ve already crossed the finish line so to speak. So the next time you aim for the sky and finally get there, reach for the stars. 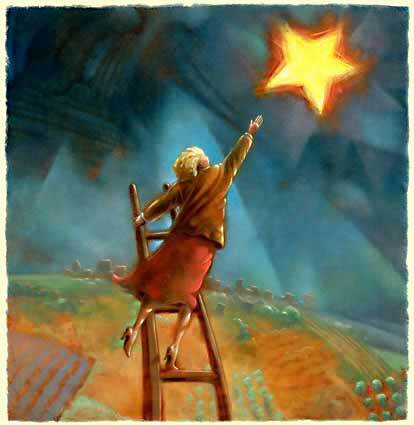 Once you reach the stars, see if you can go even higher…Who knows where life will take us. Remember, we are our own limitations and nothing can stop us from achieving our dreams. We have the power within us to do the impossible. Keep dreaming, keep positive and know you will get there. Enjoy the rest of the week guys and blessings to you all.